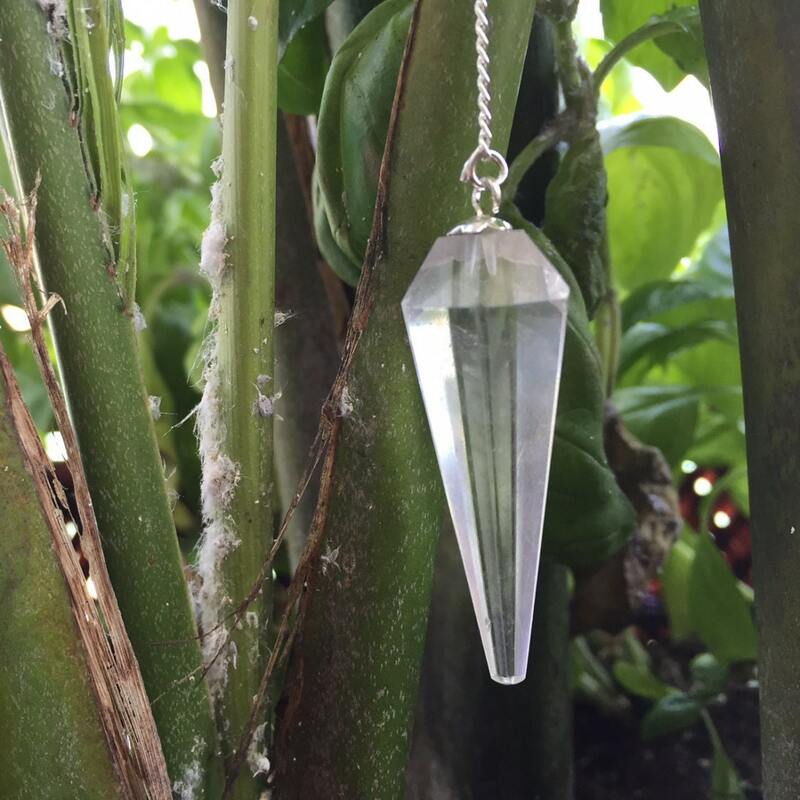 Clear Quartz is the most powerful healing and energy amplifier on the planet because of its unique helical spiral crystalline form. 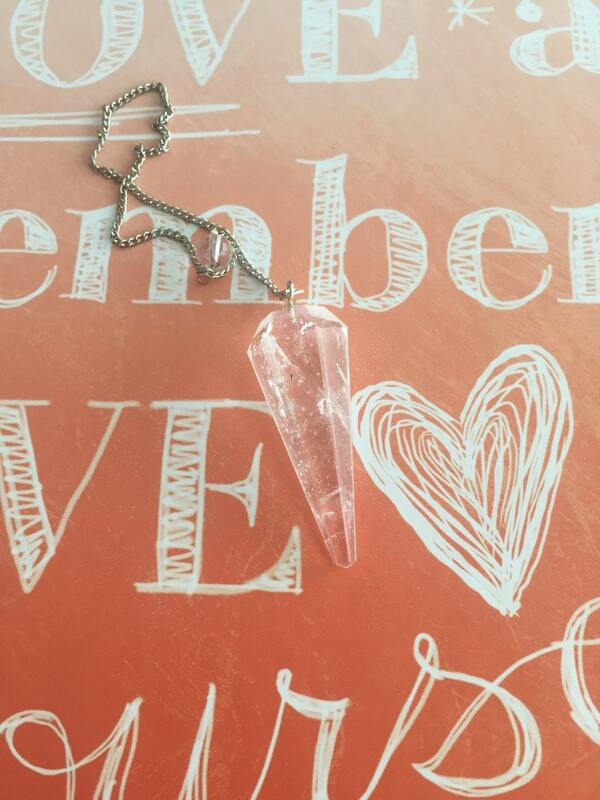 It absorbs, stores, releases and regulates energy and is excellent for unblocking it. When acupuncture needles are coated in Quartz, the effects increase by 10 percent. 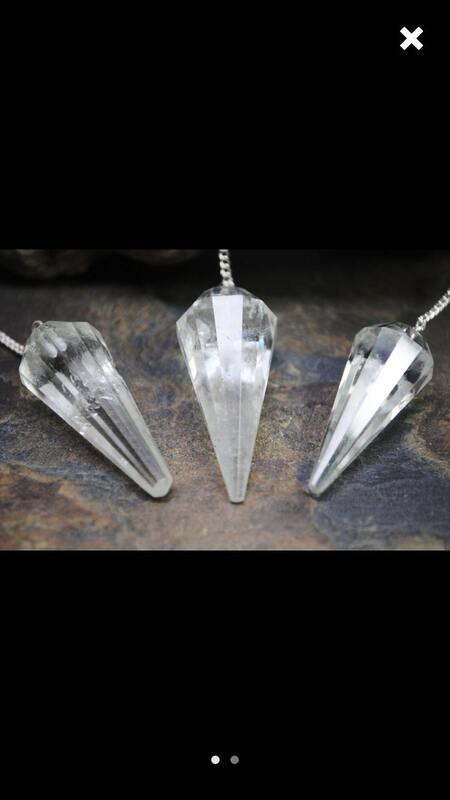 Size:The pendulums measure about 7" long with the gemstone itself measuring approximately 1.5"-2" long. ***BUY 1 OR MORE - PRICE DECREASES WITH QUANTITY*** (Contact me for higher volumes) Gemstones may be purchased individually or in groups by chakra. 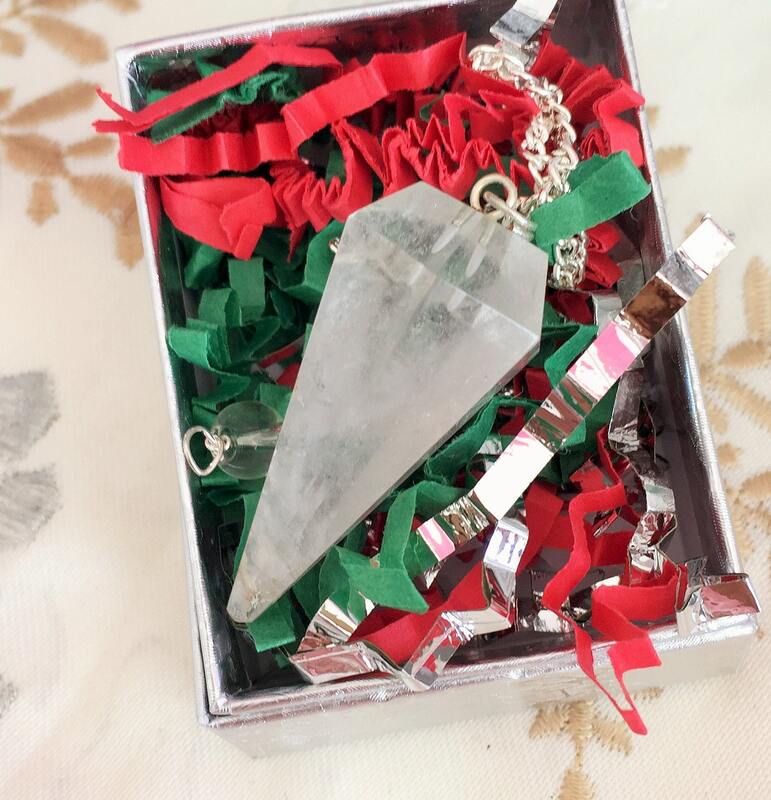 My crystal pendulum arrived today. It is just as it looked online. I got it to give as a gift and I'm very pleased with it. This Etsy seller is great with communication and ships fast. I highly recommend! 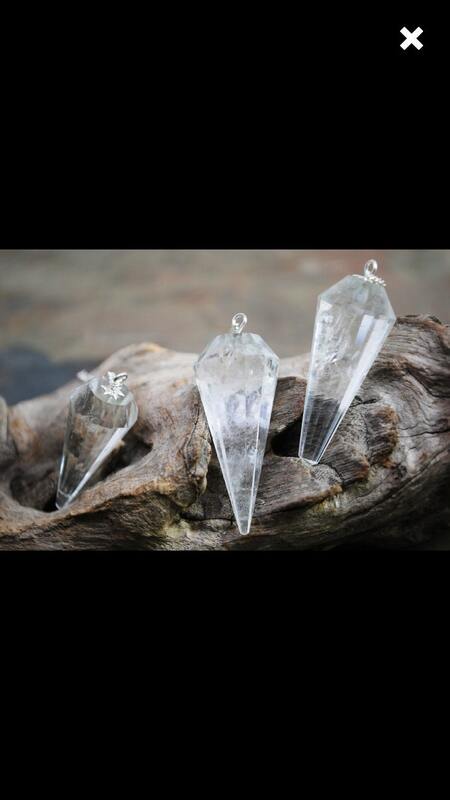 Very nice crystal pendulum. Purchased for my husband. Awesome inclusion inside of it gives a 3D effect. My husband loves it!